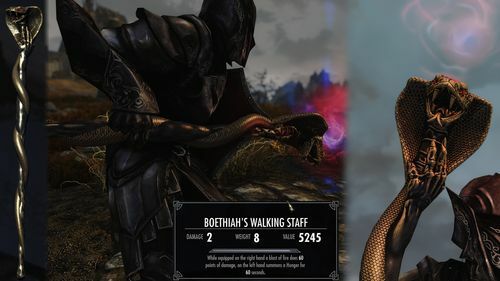 You are mostly known for your mods that add brand new models of swords, armours, and artifacts to the world of Skyrim. Before we get to your modding work, could you tell us a bit about yourself? My name is Borja, I'm from Spain and I'm a student of pharmacy at the moment, finishing the degree this year, hopefully. On a note more related to the topic at hand, I suppose, I've always liked video games, so it definitely makes sense I'd end up doing this stuff. Still, if someone had told me before I started I'd have had strong disbelief, it all started a bit out of the blue. You have accumulated hundreds of thousands of downloads across your mods for Skyrim and Skyrim Special Edition. How would you personally describe the kind of mods you make? I basically have, like, two series of mods: Frankly HD which is retextures and it's what I've been pushing more recently, and artifacts which are a bit of everything. My main focus is 3D modeling, but it also gives me an opportunity to try other aspects of the game, like quests. 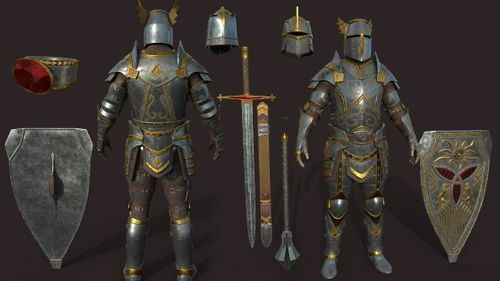 The ideal scenario would be making a compelling quest in which you obtain a few unique weapons and armors as a reward, all based on established lore of the game, which is an important aspect for me. 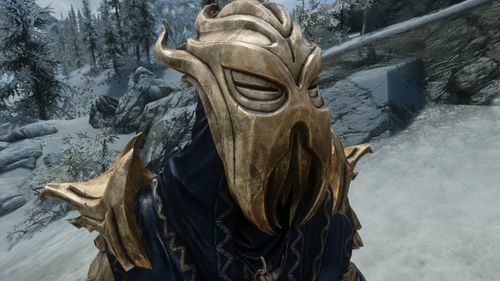 Do you still remember the very first mod or model you made for Skyrim? What made you want to start making your own mods in the first place and why did you decide to share them with us all? The oldest that is still available is the Nightingale Carbon Fiber retexture. It's my first steps in Photoshop basically. You can see in one of the screenshots there's a bear and an obvious Photoshop lens flare on top... it's pretty awkward in retrospect. I do seem to recall I started a retexture of steel armor around that time, but not sure if that got anywhere. Even older than the carbon fiber one are my Fallout New Vegas mods, but those are more about playing with the modding tools and some free to use models plus a bit of scripting. I hadn't started delving into 3D modeling at the time. The very first mod I did was putting some aliens in Fallout New Vegas' starting village. I didn't know modding was a thing until I found the Nexus. Like, you can do anything you want with the game, from your home, and you don't need to know anything about anything to start. Because that's the thing: before I got into modding I didn't know anything related, I have zero programming or 3D modelling or image manipulation background, I draw painfully bad. And there is even a plethora of easy to use tools and tutorials - that's absolutely amazing. So I downloaded some for Fallout New Vegas and I guess that with some time the question "Can I do that?" arises. I was about 15 or 16 years old, the idea of being able to add stuff to a game I liked was extremely cool. Of course, I started with the most basic stuff, but one thing leads to another. So, once I started making my own mods, the only reasonable thing to do, for me, was share them and share them on the Nexus of course. And that's what I've kept doing since. It is apparent that you have come a long way since then, and that you now have an impressive mod portfolio to your name. Do you have a personal favourite among your own mods? You wouldn't ask a father to pick a favourite child, would you? I think I am more attached to the artifacts than the rest, not sure which one I'd pick from those though. Perhaps the one about Boethiah because the result is closer to what I wanted to make from the beginning. Most of your mods either overhaul existing Elder Scrolls artifacts, or add entirely new ones to the game. Your artifacts of The Breton Paladin as well as the various lore-inspired artifacts added in your Tournament of the Ten Bloods mod stand out as particularly amazing work. Can you tell us a bit about the design and development process for these two mods, and about what inspired you to create them? There's heavy inspiration from Oblivion in both, the Knights of the Nine DLC and Boethiah's tournament in particular. To a degree, I play on my own nostalgia which doesn't always result in the best mod for everyone. I'm interested in Elder Scrolls lore in general, so I read the wiki pages about the stuff that appeared in Morrowind, but I haven't played it. Nonetheless, it's another source of inspiration. 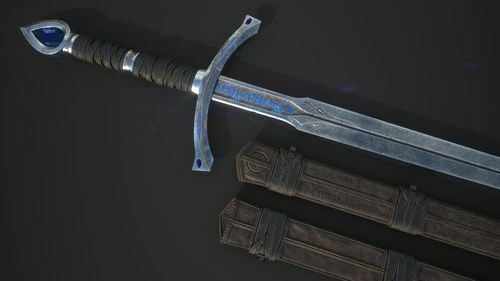 The Ice Blade of the Monarch one is all based on lore from Morrowind for example. The general process for artifact mods usually starts here: http://en.uesp.net/wiki/Lore:Artifacts - going through the lore pages looking for what to do. Once I decide which one I want to focus the mod on, I start modelling, trying to make it somewhat resemble the original design. Then I think of a quest for it and usually add some other artifacts along the way. If there's going to be an enemy that needs to have something and stuff like that. It's a bit of a mess since I have plenty of models started but unfinished, so I try to find excuses to fit them in the mod I'm working on at the time, instead of starting yet another model. Other than Skyrim and Skyrim Special Edition, do you make mods or models for other games, or do you have any plans to do so? Aside from the ones for Fallout New Vegas I mentioned, I'd like to mod Fallout 4, but I don't know if I'll ever think "I'm done with modding Skyrim, let's move on". There's way more stuff I want to do than time available. What other games do you like to play? Do you have a favourite genre? I definitely like to explore in games, just give me a big map with interesting things to look at and let me walk through it. Games I've really liked just playing are Oblivion, Red Dead Redemption (aside from exploring I was fairly good in multiplayer), Witcher 3, Prey, and Skyrim. Oblivion is probably my favourite of all time, but it was before I discovered modding and I had bought it for ps3. In Skyrim I've spent more time testing mods than playing and looking at the vanilla game I'd say I enjoyed Oblivion much more, though I think that also has to do with me changing and not necessarily the game being worse. The genre I suppose would be RPG open world, but character customization is not a must-have for me. It's also very cool to play a character with a fixed backstory like Geralt from Witcher 3. Do you have any hobbies outside of gaming and modding? What do you like to do on a sunny day with no work or worries? If it's a day without work or worries then I'm definitely procrastinating what I should have done during the week. Now seriously, I watch lots of TV series in marathon mode or just go from one youtube recommendation to the next until I think "Why am I watching a video on string theory?". You have been a member of Nexus Mods since 2011 now. What makes you want to stick around and continue making mods? It's fun and there's a lot to learn, you can always improve your skill set or learn new aspects of modding, you could justify learning programming as part of "modding" for example. It's a really broad subject and that has a lot of appeal to me. So, to answer in one word I'd say: learning. Do you have any modding plans for the near future? For now, I'm going to keep pushing my two main series, Frankly HD and Artifacts. I've got some stuff in the works for both. And I'm also making some models for Skyblivion, mainly unique weapons. Hopefully, I'll find a balance in all that. Is there anything else you would like to tell our community? Very simply: learn stuff, it's fun. A big thank you to FrankFamily for answering our questions. If there's an author or mod project you'd like to know more about, send your suggestions to BigBizkit or Pickysaurus. Awesome work, but I still think of One Piece every time I see FrankFamily. Frank, you are the best, I love all your mods ,congratz! I was very pleasantly surprise, seeing your interview, however, I haven't really downloaded many of your new textures Frank, simply cause I am not really playing, & busy with school. Nevertheless, I remember your kindness, it makes me happy to see you so prolific, & getting the recognition you deserved. Despite how many many times i told you to change the shiety color leather under the epic heavy armor with rings of chain mail you don't listen. False, I do listen. I, however, am not your slave and, last time I checked, it was my mod. The best I can do is encourage you to learn yourself how to do the changes you want to done, for private use of course. Good luck! "I was about 15 or 16 years old, the idea of being able to add stuff to a game I liked was extremely cool. Of course, I started with the most basic stuff, but one thing leads to another." Am i reading about myself here? Lol. It reminds at the time i want to create sword mod but don't know how so i learn how to model donut in Youtube. Great interview. I love FrankFamily's awesome work. Frankly Frankedly Frantastic work produced by FrankFamily! It is interesting to read about modders who started with no knowledge of the tools and ropes of the modding world and see how they managed to become excellent in doing so. Encouraging to those of us who do not have a programming or graphic design background. 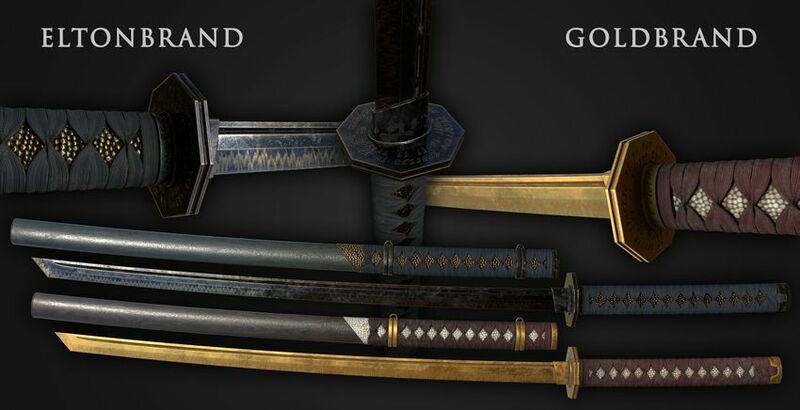 "The ideal scenario would be making a compelling quest in which you obtain a few unique weapons and armors as a reward, all based on established lore of the game, which is an important aspect for me" - you already have done this, in my humble opinion. Your Ice Blade of The Monarch is a juicy and hard quest, I love it and I'm using so many of your texture mods.